Celebrate author H.P. Lovecraft with a new adaptation of his classic Mythoscope thrill-ride! Professor Albert Wilmarth investigates legends of strange creatures in the remote hills of Vermont. His inquiry reveals a terrifying glimpse of the truth that lurks behind the legends. 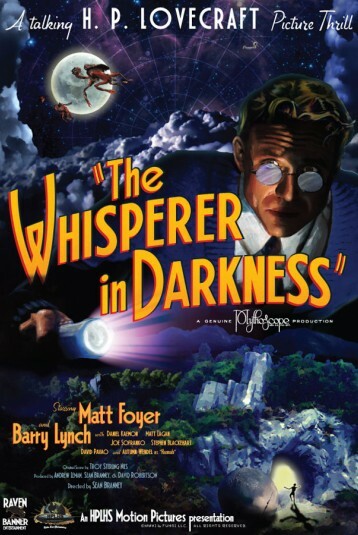 Filmed in the style of the classic 1930s films such as Frankenstein and King Kong, The Whisperer in Darkness is a thrilling adventure of supernatural horror. Start a screening and join the fun!